Lectio author and noted eschatologist Peter C. Phan will present at the American Academy of Religion Annual Meeting in San Diego on Friday, November 21, 2014. Peter will address the “unpublished last chapter” of Raimon Panikkar’s The Rhythm of Being (2010). The presentation will give an overview of Panikkar’s thought on the three themes of “Eschatology,” the Being of Time,” and “the Time of Being” and will explore the reasons why he finds the text as its stands unsatisfactory and whether his apology for taking twenty years to come to the admission of his inability to write anything on eschatological matters is justified. The presentation is part of the Society for Asian and Comparative Philosophy session in P21.203 from 2 – 6 pm. 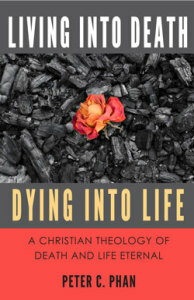 Professor Phan will have on hand copies of his newest book published by Lectio Publishing, Living Into Death, Dying Into Life: A Christian Theology of Death and Life Eternal available now. Information about the AAR 2014 Annual Meeting in San Diego can be found on their website. Peter C. Phan, noted for his theological exploration of the afterlife, presents an easily understood study of what eternal life means from a Catholic/Christian view. In Living Into Death, Dying Into Life: A Christian Theology of Death and Life Eternal Professor Phan elaborates and expands material first presented in twelve lectures. Drawing heavily from the Christian Tradition, Phan identifies sections in the Old Testament and especially the New Testament that are relevant to eschatology, which is the search for an understanding of God’s final kingdom. Seen in the preaching of Jesus as presented in the Gospels, the Kingdom of God is both here now and also fulfilled at the end of time. 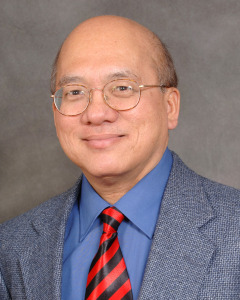 Professor Phan is able to connect Scriptural representations of the afterlife with the ramifications of eternal life in our present everyday life. Phan’s book is intended for audiences seeking to understand the death of a loved one, an impending death, or death in general; as well as those who are seeking a general spiritual or theological understanding of eternal life as presented by Jesus Christ. Purchase the softcover edition now on the Lectio website.